I occasionally write about things. Usually these things are about computers. I’ve been pretty happy with how my ESP8266-powered outdoor thermometers turned out. One of these has two sensors — one to measure ambient temperature, and one to measure the temperature of a hot tub. 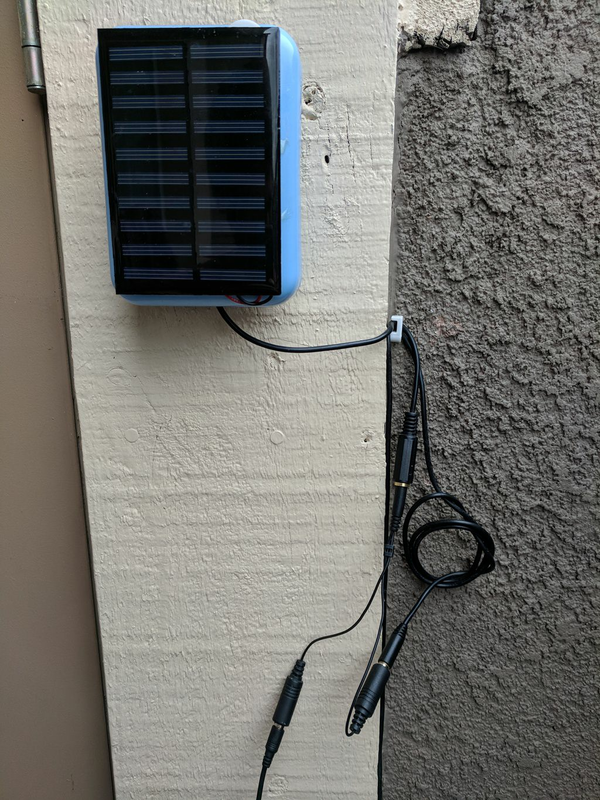 It’s solar-powered (with an 18650 Li-Ion battery), uses a single GPIO pin, and never needs charging! DS18B20s* are great digital thermometers for DIY projects. They’re about the same price as the more popular DHT11*, and while they don’t measure humidity, they have a really cool advantage: you can use multiple sensors on the same data pin! They also support a parasitic power mode, which drops their standby power draw to close to 0. Diagram showing how to set up DS18B20s in parasite power mode. Image from tweaking4all. 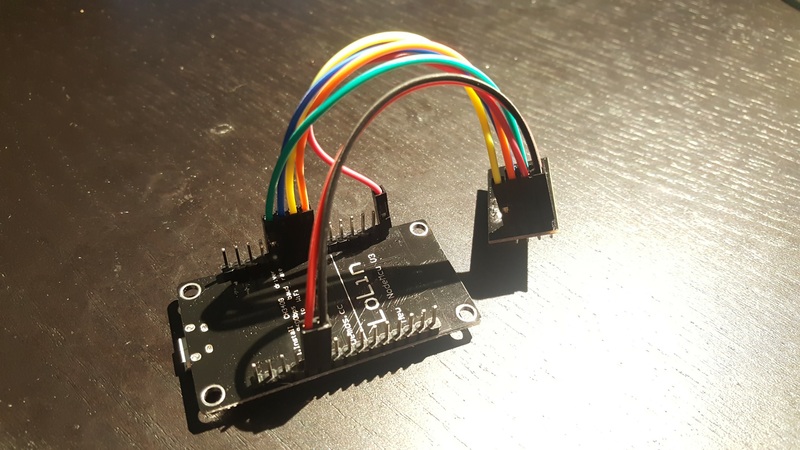 This allows me to push readings from multiple sensors connected to the same GPIO pin to different MQTT topics. You can also push readings to an HTTP server. In deep sleep mode, this project is suitable for battery life. 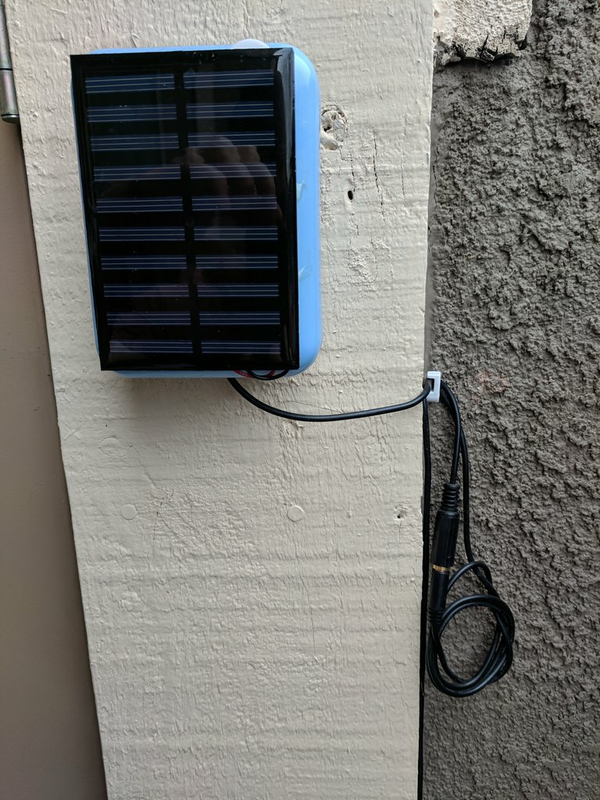 My outdoor thermometer uses an 18650 cell with a 5v solar panel and battery protection circuit. I’ve never needed to charge it. It’s been running for months. Use an efficient voltage regulator. Many dev boards use an AMS1117, which has a very high quiescent current. You’re probably best off with a buck converter*, but an HT7333 or similar would be a lot better too. Use parasitic power mode! Just wire Gnd and Vin on the DS18B20 to Gnd, and add a 4.7 KΩ pullup resistor to the data line. Disable any LEDs that are on for long periods of time. I just used a pair of pliers to break the power LED. 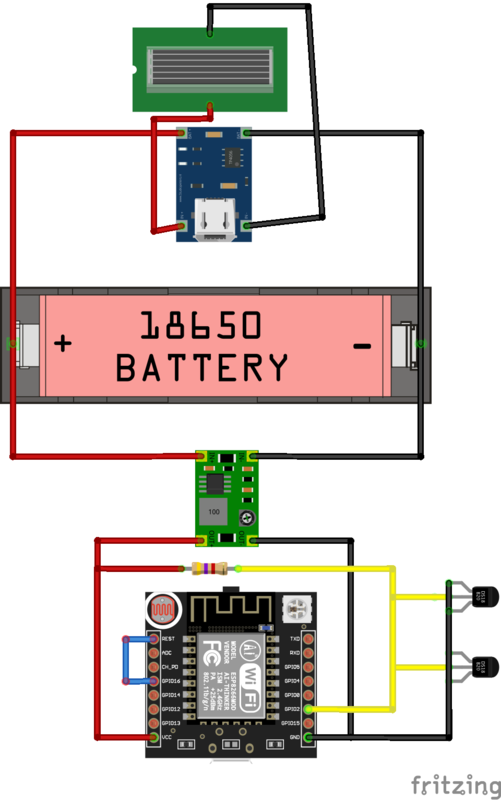 Here is a sloppy circuit in Fritzing. 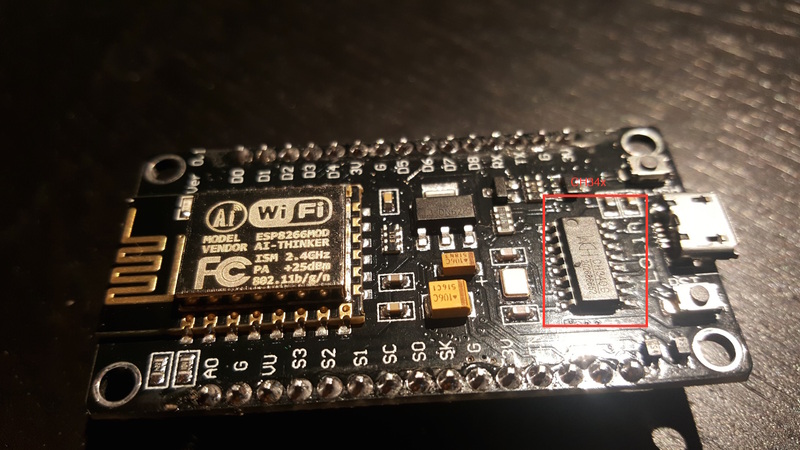 ESP8266-07 and Breakout Board (soldering required. 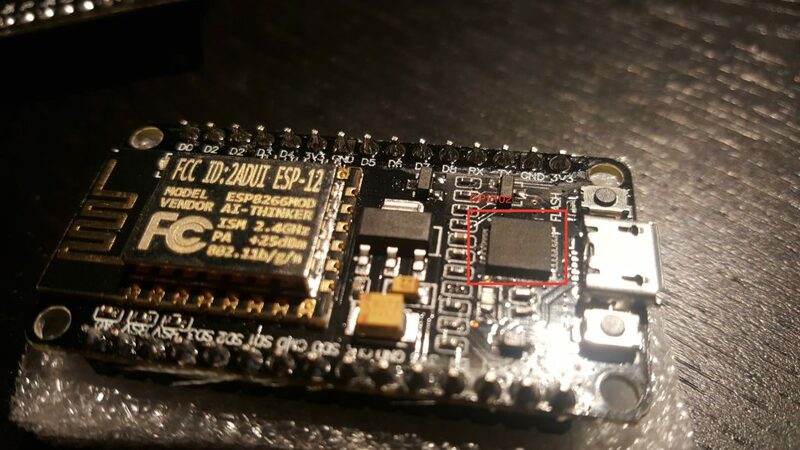 Wemos D1 Mini works if you want to avoid soldering). Milight sells 2.4 GHz remotes* for quite cheap (~$12) which can be used to control Milight bulbs*. They also make in-wall panels* that do the same thing. These work quite well, but if you’re using something like HASS, you’ll end up with stale state. For example, if you turn lights on with the remote, that change won’t be reflected in HASS. The ESP8266 is passively listening for packets sent by the remote, and forwards the data to an MQTT topic. HASS reacts by sending commands to a different MQTT topic which instructs the ESP8266 to turn bulbs on. You could just as easily have HASS do something completely different, like control a non-Milight bulb. If you’re interested in setting this up yourself, instructions are available GitHub project wiki. Milight bulbs* are cheap smart bulbs that are controllable with an undocumented 2.4 GHz protocol. In order to control them, you either need a remote* (~$13), which allows you to control them directly, or a WiFi gateway* (~$30), which allows you to control them with a mobile app or a UDP protocol. Virtually unlimited groups. The OTS gateways are limited to four groups. Exposes a nice REST API as opposed to the clunky UDP protocol. Secure the gateway with a username/password (note that the 2.4 GHz protocol used by the bulbs is inherently insecure, so this only does so much good). How to setup the hardware. How to install and configure the firmware. 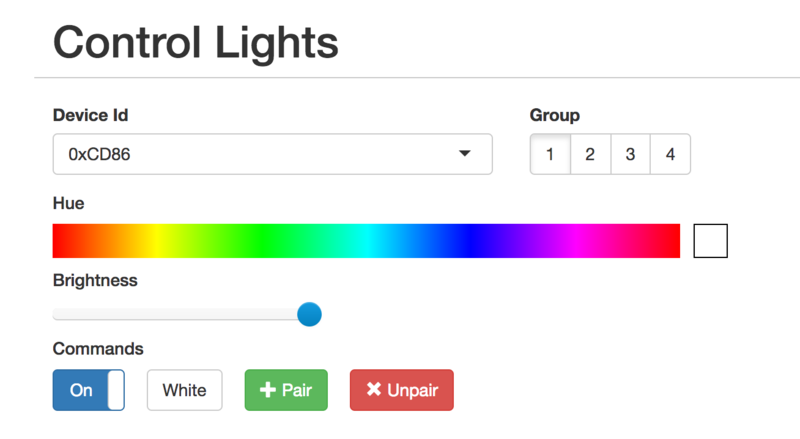 How to use the web UI and REST API to pair/unpair and control bulbs. This should run you approximately ~$10, depending on where you shop, and how long you’re willing to wait for shipping. Items from Chinese sellers on ebay usually come at significant discounts, but it often takes 3-4 weeks to receive items you order. 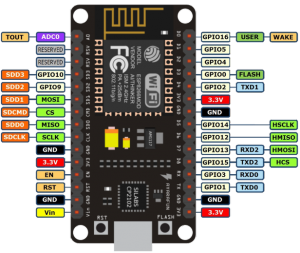 An ESP8266 module that supports SPI. I highly recommend a NodeMCU v2*. An NRF24L01+ module. You can get a pack of 10* on Amazon for $11. You can also get one that supports an external antenna if range is a concern (link*). Dupont female-to-female jumper cables (at least 7). 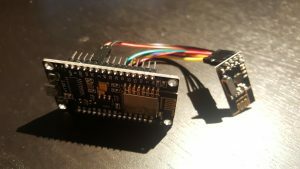 You’ll need these to connect the ESP8266 and the NRF24L01+. If you get a bare ESP8266 module, you’ll need to figure out how to power it (you’ll likely need a voltage regulator), and you’ll probably have to be mildly handy with soldering. 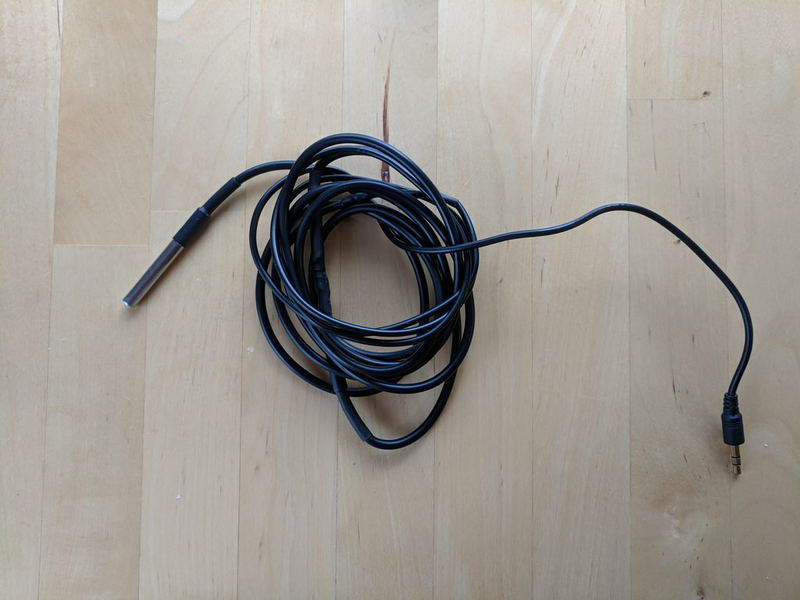 The only thing to do here is to connect the ESP8266 to the NRF24L01+ using the jumper cables. I found this guide pretty handy, but I’ve included some primitive instructions and photos below. 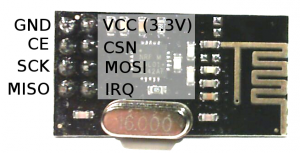 Update – Jan 4, 2019: The default CE pin has been changed from D0/GPIO16 to D2/GPIO4 as of version 1.8.6. There are a couple of different versions of NodeMCUs (I’m not convinced they’re all actually from the same manufacturer). Depending on which one you got, you’ll need to install the corresponding USB driver in order to flash its firmware. Install drivers for the v2 here. The CH34* drivers seem more community-supported. This blog post goes over different options. I’ve been able to use both the v2 and v3 with OS X Yosemite. If you’re comfortable with PlatformIO, you can check out the source from Github. You should be able to build and upload the project from the PlatformIO editor. Update – Mar 26, 2017: I highly recommend using PlatformIO to install the firmware. The below instructions are finicky and unless you get the arguments exactly right, the filesystem on your ESP will not work correctly. Using PlatformIO is a more robust way to get a fresh ESP set up. Further instructions are in the README. Update – Feb 26, 2017: if you’ve used your ESP for other things before, it’s probably a good idea to clear the flash with esptool.py --port /dev/ttyUSB0 erase_flash . Thanks to Richard for pointing this out in the comments. If not, you can download a pre-compiled firmware binary here. If you’re on Windows, the NodeMCU flasher tool is probably the easiest way to get it installed. Connect the NodeMCU to your computer using a micro USB cable. Note that /dev/cu.SLAB_USBtoUART should be substituted for /dev/cu.wchusbserial1410 if you’re using a v3 NodeMCU. Be sure to specify the real path to the firmware file. Restart the device. To be safe, just unplug it from USB and plug it back in. Connect the device to your WiFi. Once it’s booted, you should be able to see a WiFi network named “ESPXXXXXX”, where XXXXXX is a random identifier. Connect to this network and follow the configuration wizard that should come up. The password will be milightHub. Find the IP address of the device. There are a bunch of ways to do this. I usually just look in my router’s client list. It should be listening on port 80, so you could use nmap or something. You should now be able to navigate to http://<ip_of_isp>. The UI is useful for a couple of things. The controls should not work as expected. You can click on the “Save” button below if you want to save the identifier in the dropdown for next time. The UI is also useful for pairing/unpairing bulbs. Just enter the gateway ID, click on the group corresponding to the bulb you wish to pair/unpair, screw in the bulb, and quickly (within ~3-5s) press the appropriate button. The bulb should flash on and off if it was successful. This will turn bulbs paired with device 0xCD86, group 2 on and set the color to red (hue = 0). I realized this project would be a lot more immediately useful to people if it just supported the existing Milight UDP protocol. This would allow people to use the existing integrations others have built for OpenHab, Home Assistant, SmartThings, etc. The Web UI has a section to manage gateway servers. Each server will need a device ID and a port.